The Crocodile is a walking aid for children with special needs, who need supplementary assistance with their daily walking. The Crocodile is available in three sizes and suitable for childrenand young people. 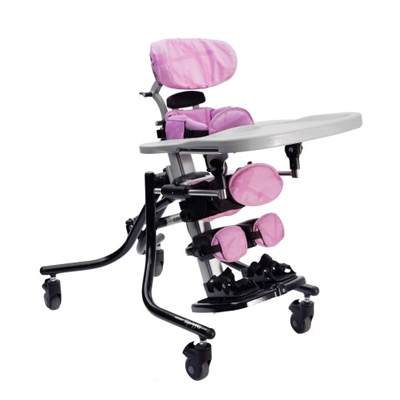 Height adjustable top frame: Easy to adjust the height without using any tools. Multi-adjustable handle: Allows you to grow in width as well as in height. Positioning the grips close to the body gives better support and a better walking position. On/off anti-reverse wheel stops: Keep the unit from rolling backwards. It is very easy to lock/unlock once walking skills improve. 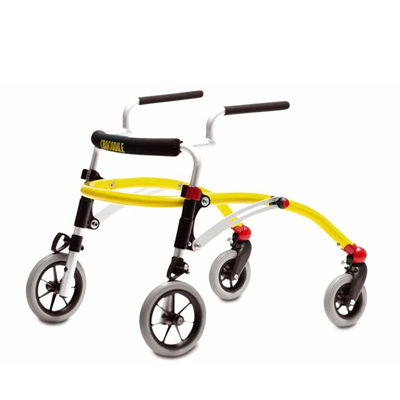 The anti-reverse wheel stops are used for children with less balance and control. 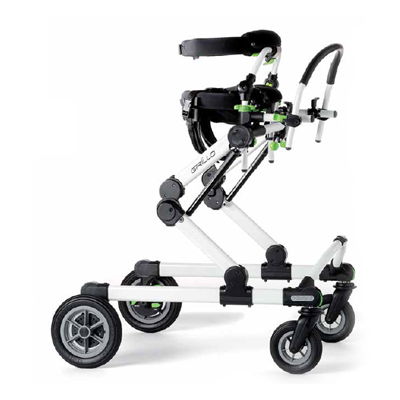 Foldable frame: Makes storage and transporting the Crocodile easy. Call 604-821-0075 or request details about the Crocodile using the form below. Question about the Crocodile ?